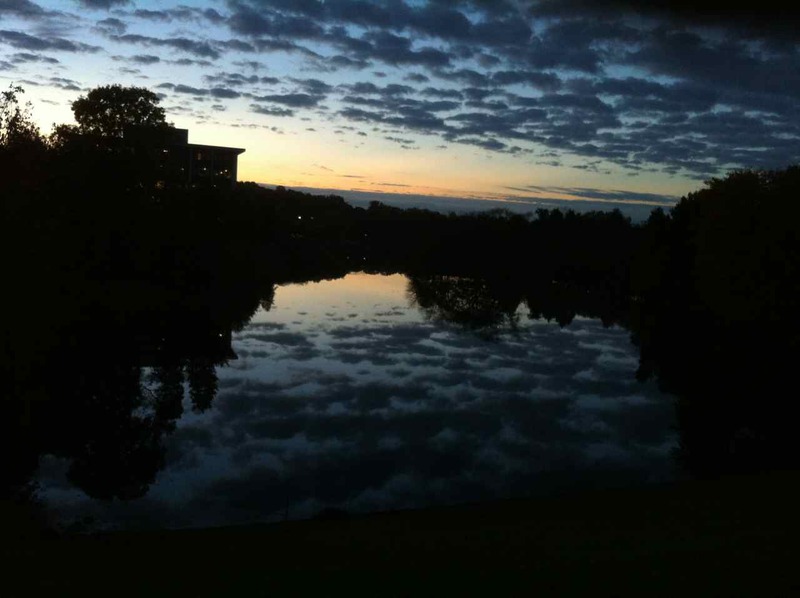 Sunrise at The Lakelands in Gaithersburg, on 2 November 2013: Barry Smith spies clouds reflected in a pond named Lake Placid. "You have to take that picture!" he commands.